Designers and retailers are opting for the “e” route to sell their wares. It saves on the high real-estate and operational costs of brick-and-mortar stores. Joining ranks with successful shopping portals such as www.flipkart.com, www.juvalia.in and www.perniaspopupshop.com is 10-month old www.jabong.com which stocks over 700 brands such as Ray-Ban, Calvin Klein, Nike, Clarks and Carlton London. Manu Kumar Jain, the website’s co-founder, unveiled a collection of VS-319 bats earlier this week, commemorating Virender Sehwag’s score of 319 runs against South Africa in 2008 — which will be sold exclusively through Jabong. 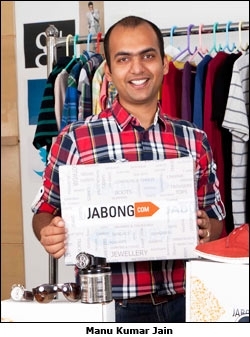 Jabong.com is an Indian Online fashion & Apparel store funded by Germany based incubator Rocket Internet. Jabong.com deals with apparels, footwear, jewellery, beauty products, Fragrances, Home Accessories and a few other varieties of products. Jabong has a well-maintained warehouse in approx. 1 lakh sq. feet area. The store at present has over 200 brands and 20,000 products and office in gurgaon it is upcoming fashion megastore Tagged as "Delivering lifestyle", Within 4 months of launch of operations, the company has over a million page views daily with more than 160,000 unique visitors which has taken the company to Rank 58 in Alexa rankings in India, leading to about 82,939 registered users in 5 months. Jabong offers express delivery with multiple methods for payment including credit/debit card, net banking and cash on delivery. The cash on delivery payment model is very significant in India, as people would like to see the product before making a purchase. Have you tracked the web traffic on Jabong? How much of this translates into actual transactions? I can’t divulge sales figures but as per the latest Com-Score report of September 2012, Jabong has recorded the second-highest web traffic (and the highest in the lifestyle domain) amongst all Indian e-commerce companies. The first, naturally, was Flipkart. But we [Jabong] were very close. Among all our items, shoes and apparel sell the most. Why would a customer visit an online shopping portal instead of an offline one? Every customer wants to browse through and purchase lifestyle brands, but not everyone has access to high-end malls. ‘E-tailing’ gives customers that opportunity without stepping out of their offices or homes. Moreover, customers can compare brands, colours and products with an easy click. Also, online shopping saves time and fuel! Anyone who is lifestyle and fashion-conscious. When we started operations, most of our revenues came from metropolitan cities like Delhi, Mumbai and Bangalore. But in the last few months, we have seen a huge traffic from tier-II cities which now form a significant part of our revenue, mostly because they don’t have access to big brands. In fact, I came to know about a customer from Kadapa in Andhra Pradesh who wanted a specific brand, size, style and colour of a shirt — simply because he had seen a sportsman wearing it. He had the purchasing power and exposure to the brand. But to buy it, he had to travel for hours to get to the nearest retail outlet. And so he logged on to Jabong. How do you track customer satisfaction and feedback? During preliminary research, we found out that the one thing customers were most weary of was the long waiting period to receive their merchandise. They simply lost interest. So, we promise timely delivery across the country through our in-house shipping system. For instance, if you place an order at noon from Delhi, we will deliver it the same day. For other cities, it might take a little under 48 hours as long as you order before six in the evening. To gauge customer satisfaction, we conduct surveys regularly and have set up a team to analyse the results. At times, we call customers randomly to ask about their experience or conduct in-depth interviews with some. If need be, we also outsource the work to a market research agency. one of ours customer said about us "Love that the delivery as well as the follow-up by email regarding exchange were so prompt ! There was never a situation where I was kept waiting for the reply from the customer-care, keep it up ! And for people like me who may not be able to take calls on my mobile for most of the day, such prompt replies on e-mail are a blessing, keep it up Jabong ! :) Your site is awesome ! So much of variety , I mean the collection of products ! Even in the footwear there are so many available ! That’s great ! Rest it’s good ! :) I like to shop more from Jabong everytime I have time to go and explore onlineI am highly pleased with the professionalism shown by Jabong.com in shipping my orders incredibly fast, that too all the way from Gurgaon to Bangalore. I got my hands on the products in less than 24 hrs which compels me to return to them for my future shopping as well. Well done Jabong.com. Way to go :) "
For an online portal, visual presentation is key. How do you ensure the brands who collaborate with you are kept happy? We provide seven different shots of each products — zoomed in and out, with and without a model — to help the customer make the right choice. Is e-commerce the way forward for designers and retailers alike? I hope so, else I am in the wrong place! [Laughs]. Online shopping has become a new fad among the masses because of benefits such as safe transactions, flexible payment options such as cash on delivery, return policy and attractive offers during festive season. Jabong was found in year 2011; it’s a young and vibrant company with about 800 employees. The new venture will be spearheaded by a founding team of three highly educated and experienced entrepreneurs Lakshmi Potluri, Arun Chandra Mohan and Praveen Sinha. 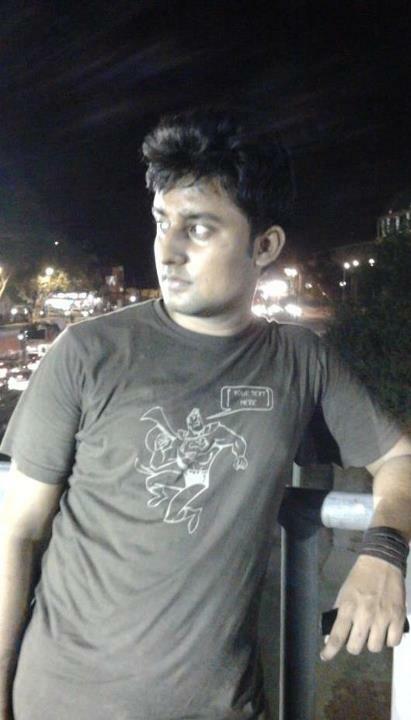 Jabong.com was co-founded by Manu Kumar Jain.